The Chicago Transit Authority says a runaway train that rammed another Blue Line train had been left idling for 48 hours, and the agency has taken action by firing two employees, and suspending two others in the aftermath of that Sept. 30 accident. 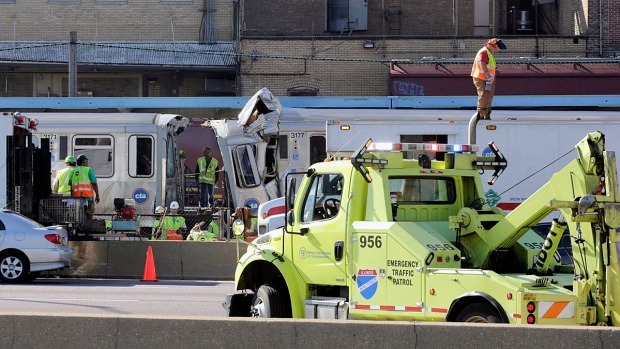 Two union electricians were terminated for what the CTA says was their role in the incident. A union switchman and an unnamed supervisor received suspensions. But in the switchman's case, the president of the Amalgamated Transit Union said Friday that the transit agency was looking for a scapegoat, and that that the union would vigorously fight the man's suspension. "We are not in agreement with this at all," said ATU 308 president Robert Kelley. "It's totally wrong." Two CTA trains collided just after 8 a.m. Monday on the Blue Line tracks. At issue, is the switchman's decision to start the train using a dummy key which was then removed, leaving the train idling. Kelley insists that's A longtime practice, to allow trains to stay warm in the winter and cool in the summer, especially for cleaning crews who do much of their work at night. "I myself have worked as a switchman … and have left trains keyed up in the yards," Kelly said. "CTA is taking a stance that it's never been a practice? They're lying. Plain, flat out, lying." Asked how prevalent the practice has been, Kelley said he could "march in here with 200 switchmen who can tell you they do it on a daily basis." 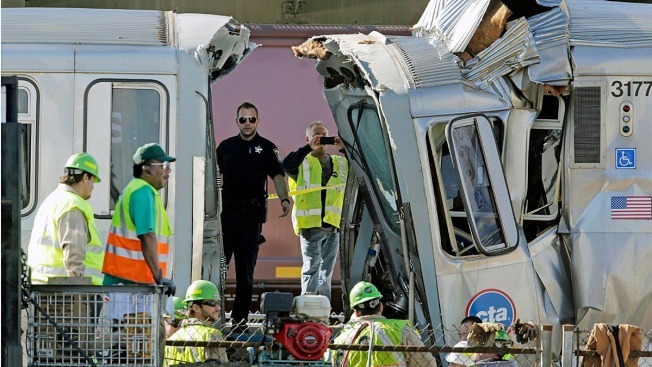 Questions loom following Blue Line crash, including who started the runaway train, and why didn't a system set up for such an occurrence automatically stop it? Phil Rogers reports in this NBC 5 Investigates segment. CTA spokesman Brian Steele said while it may be accepted practice to leave what is known as a "revenue train" idling, that is, one which is about to carry paying passengers, it is never proper to leave a train running which is in for maintenance. The train in question, which took off down the Blue Line tracks, was scheduled to be transferred to the Skokie yard for repairs. Steele said the switchman was also faulted for not informing a supervisor that the train had been keyed up and left idling, for as long as 48 hours prior to the accident. "It is the responsibility of workers to let supervisors know that a hold train is powered up," he said. For his part, Kelley suggested his members would think long and hard before cooperating fully in future investigations, noting that the employee in question had freely answered questions and now faces discipline. The incident is under investigation by the National Transportation Safety Board, which has not formulated a cause.